Axiom Workspaces has a reputation for creating inspiring commercial office spaces that meet the needs of businesses and its people. 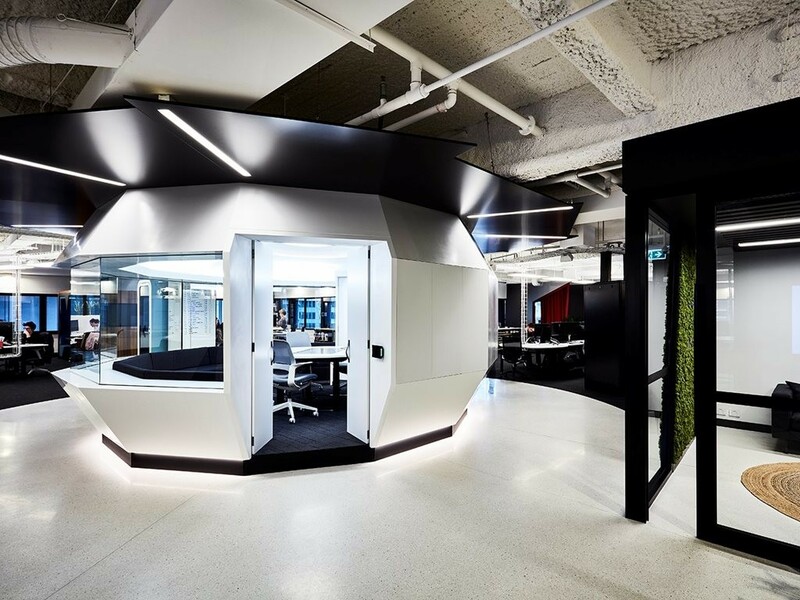 The pressure was on when it came time to design their own headquarters in Sydney recently, as they needed a fitout that would show off their design process – and results – to employees and clients. Covet worked with Axiom to create the perfect ‘canvas’ for its HQ. A concrete overlay floor, ground down to 10mm and manipulated during the curing process to prevent cracking and shrinking, was installed in two basic colours. A custom alabaster overlay with 6mm white marble was used in the main areas of the new HQ, contrasted with a darker 6mm ebony granite in the foyer. The juxtaposition of light and dark creates a grand reveal for visitors, while at the same time exuding warmth, character and a timeless aesthetic. The surfaces at Axiom Workspace’s HQ are made from 100 percent concrete, unlike other concrete finishes that are made of an epoxy blend or composite fibre cement. This gives the surface unique tonal variations and ensures durability and easy maintenance. Covet’s real concrete flooring and overlay range comes in a range of colour palettes. To find out more, click here.